We are qualified in domestic and commercial plumbing and heating, offering a totally professional service that is second to none. If you need LPG services, landlord certificates or boiler installation call the experts! 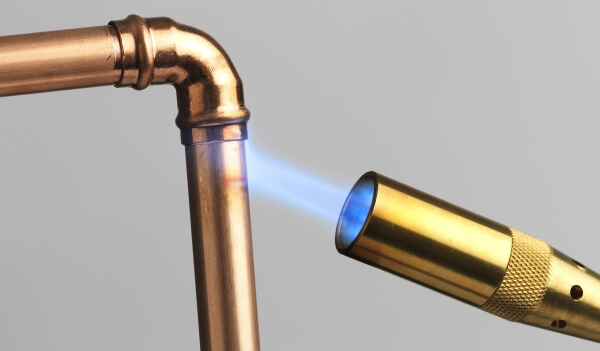 An established company, we provide the very best in plumbing and central heating services, supplying only the best quality products and services. Our success is mainly based on referrals from our great many satisfied customers, and our friendly office based team are happy to provide free advice and quotes. Any time that you are having work done in your home, then the engineer that does that work should be Gas Safe Registered. This means that he has the necessary training to help protect you and your family. The engineer is qualified to work legally and safely in your home to carry out any installation or repair. My registration means that you can be certain that any work carried out is professionally executed. As a landlord you have a responsibility to ensure that your property and the tenants that live there are safe. All rental properties must have annual gas safety inspections completed by a Gas Safe registered engineer. On the 1st April 2009 the Corgi Gas Register changed to The Gas Safe Register. Providing the highest level of reliability and trust is important to us and we’ll provide an affordable and efficient repair service that will have you back up and running in no time at all. Our excellent reputation is second to none. Our repair engineers are Gas-Safe registered and offer expert advice. We look forward to being of service to you. Call us today on 0800 644 1200 or 07866 567112 for a friendly chat and a free, no obligation quotation. Alternatively, complete the form on the ‘Contact Us‘ page for a prompt response. To make a payment via PayPal or debit or credit card, please click the button below. You will be transferred to PayPal's secure payment page. Excellent service replacing my combi boiler was carried out with professionalism and on time. Would recommend Ralph as highly competent gas engineer. © 2016: West Gas Service, All Rights Reserved. Boiler Installations Surrey, Plumbing Staines, Heating Woking, Catering Equipment Repair and Installation Guildford Web Design and Promotion – JayKay Designs Ltd.